To sign up for an account, click on "Order|Menu" on the top banner Click “create an account” or “new order” Add items to your cart. Select your pickup or delivery option. Review your order Enter your credit card information at the bottom of the page. Each week you’ll be sent a reminder text. 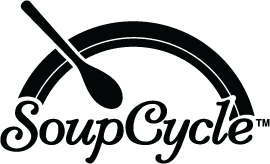 The text will include a unique link to access your SoupCycle account. You’ll have until the Friday at to make any changes to your order. Click "login"on the top banner. Click “already have an account, log in”. Enter your cell phone number. You will receive a text message with a token. Enter the token to access your account. Make your selections! Click the link that was texted to you. Click “skip” on the menu page. You are now skipped for the week. Go to your account page. Select the subscription you would like to pause. Click on the “edit” for the subscription you would like to pause Scroll to the bottom of the page to the section “pause”. Enter the date you would like to pause until. Go to your account page. Select the subscription you would like to cancel. Click on the “edit” for the subscription you would like to cancel. Scroll to the bottom of the page to the section “actions” Click “cancel subscription”. Yes! We can provide lunch or dinner of soups, salads, bread, and beverages for your office or next event. Orders must be finalized a minimum of one week before your event. Please fill out our online form to get started with your meal. How do you deliver piping hot soup? We don’t! We deliver our wonderful soups chilled so they're fresh for you when you’re ready to eat. Just heat our soups on your stove or microwave. When do I get my tasty soup? Be sure to check out our delivery maps to determine what day we deliver in your area. Our deliveries occur between 9am-4pm. We cannot always guarantee a lunch time delivery. Where will my soup be dropped off? At your home or office- you decide. For home deliveries leave a cooler outside your door if you won't be home on your delivery day. If we deliver to your office and you won’t be there, we'll put your soup in the fridge. So easy! There is a $3.50 delivery charge on every delivery. All orders over $50 have free delivery. Should I tip my delivery SoupCycler? We don't expect tips when we deliver, but if you feel moved to tip, we won't say no! When and how often will you charge my card? We'll charge your card at the close of the order deadline, Friday at 5pm. Depending on your bank, the charge might not show up for a few days. If you take a soupy vacation, you won't get charged. Do you have gluten free soups? Please note that we handle gluten ingredients in our kitchen on a regular basis. We make an effort to clean surfaces and equipment between soups, but if you have a high-level gluten intolerance or Celiac, SoupCycle isn't for you. If you have a gluten sensitivity, we have plenty of soups for you! About 99% of our soups are gluten free. We make every effort to use gluten alternatives such as rice flour. We use hormone-free poultry, pork, and beef. We proudly use 100% organic veggies in all of our products. How long is my soup fresh for? We always place a best by date on all of our labels. Soups are good for one week, and our salads and bowls are fresh for five days.